Over the years, Timberwise has worked on a large number of waterproofing projects, of all sizes. 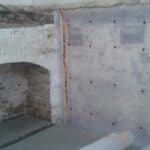 From small Victorian cellars to larger commercial waterproofing projects we have a waterproofing solution to suit all different needs. 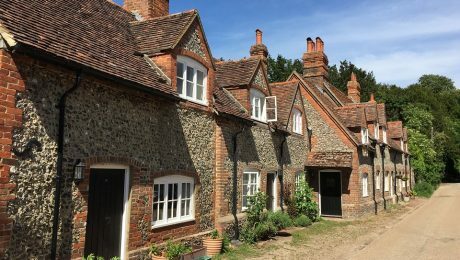 As a former pub in Kent, the interiors hinted at its deep history – with timber beams and Tudor fires however the basement had been neglected over time and was showing signs of dampness. 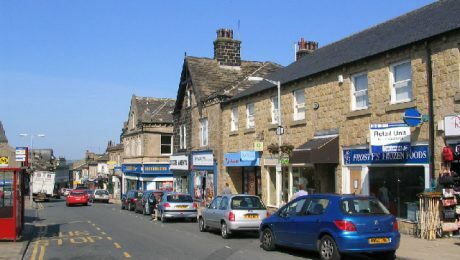 The “public house” dates back to Roman times with the introduction of the Roman road system that had inns called “tabernaes” along the roadsides. This was so travellers could stop and get refreshments and lodging on their journeys. 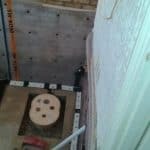 Following an external inspection of the property by the Timberwise South East team, it was revealed that no evidence of an original damp proof course was present. This was likely due to the age of the property and external render. 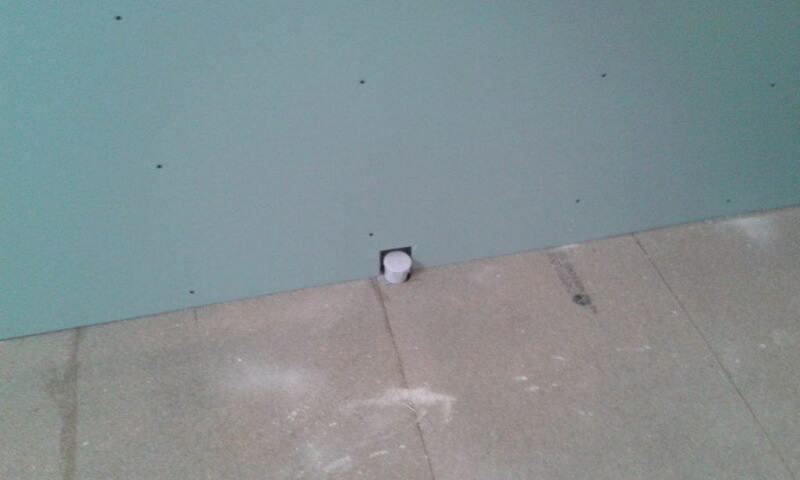 Using an electronic moisture meter, an internal inspection of the internal walls was undertaken. 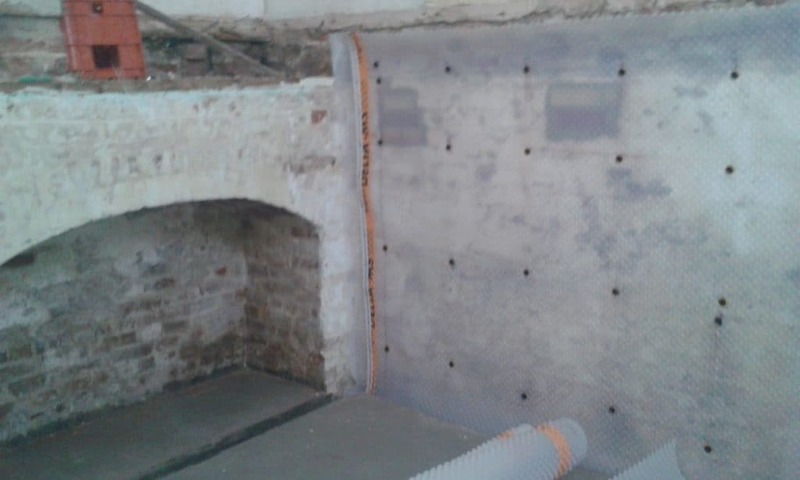 After consideration of the instrumental readings, soluble salt contamination, and other relevant factors, it was assessed that the front bay and rear right-hand elevation wall within the property was affected by rising dampness and the installation of a chemical damp proof course was recommended. 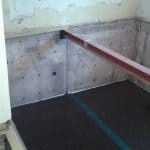 Like the basement, by its very nature was below ground, our waterproofing specialist had to assume that it could ultimately be affected by groundwater penetration and consequently, any waterproofing solution specified had to protect the basement against the potential risk of future water penetration. 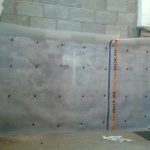 Complete with a 20-year guarantee, DriWise is a water-based system which is installed through injection into the wall. 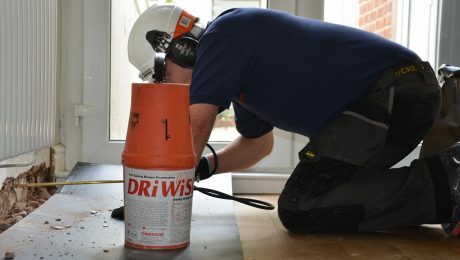 Through injection into pre-drilled holes, DriWise was introduced along the mortar course for maximum effect to combat the dampness. The DriWise diffused before curing to develop a continual water-repellent screen helping to stop dampness from rising up the wall. The chance of fluid leaking into neighbouring properties was also heavily reduced as there was no pressure used through the low-pressure injection process. 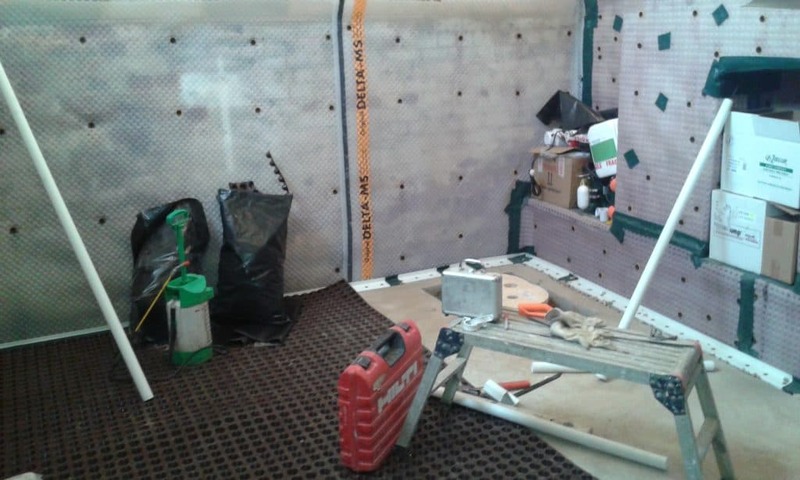 As instructed by our customer, Timberwise designed a waterproofing system which would allow the basement to be used as a space for dry storage. 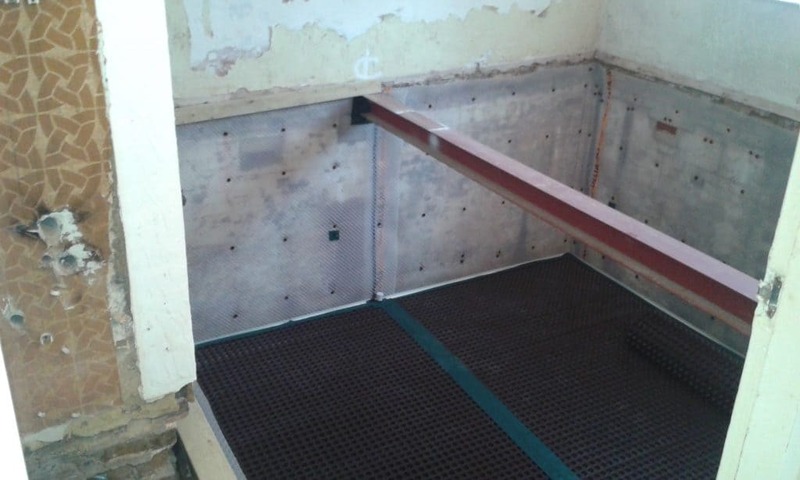 Our surveyors considered a range of options in order to meet our customer’s requirements and had no doubt that the following waterproofing system would provide the best solution whilst adhering to BS8102. Timberwise Surveyors proposed the installation of a cavity drainage system which would require the following components in order for the treatment to be effective. This particular solution offered a system which prevents any running water or vapour from entering the basement, therefore, ensuring any internal wall or floor finishes will remain dry. 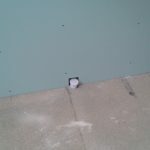 Our technicians installed the membrane using special patented fixings which allowed a number of finishing options for our customer including the “dot and dab plasterboard” method, timber battening or an independent plasterboard timber/metal frame. 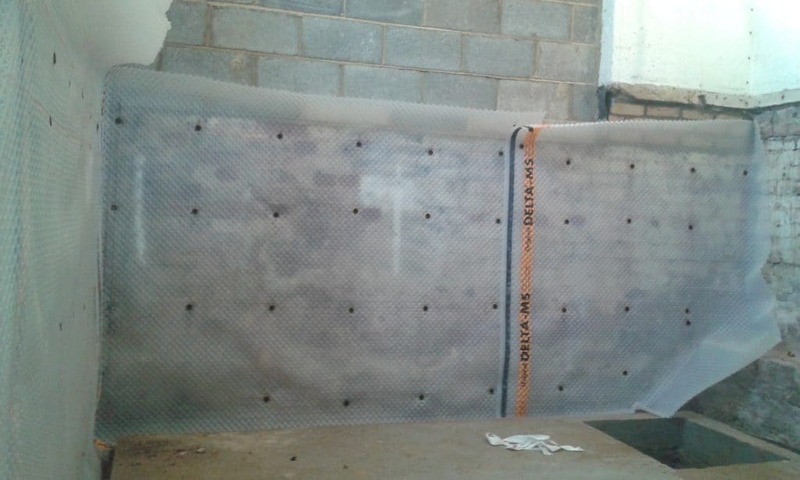 Cavity drain membrane was installed with perimeter drainage channels to allow for the free flow of water to the pump. The perimeter drainage channel works by draining water from the walls, the footing wall joint and from under the floor, before taking it away to a sump or extraction point. Following this, Timberwise then installed drainage channel with rodding/jetting eyes for maintenance purposes. Specifically designed for below ground applications, the pumping station was the heart of the system. The dual pump station was designed to collect ground water from a cavity membrane system through the clear opening to the top of the chamber. The chamber was manufactured from HDPE (High-density polyethene) and is able to withstand hydrostatic forces encountered in applications with high water tables. The pump station was delivered as a complete package including chamber, all internal pipework and a powerful pump. When new concrete forms the structure, to walls or particularly floors, there typically is a risk of excess free lime and mineral salts leaching out during the curing process. 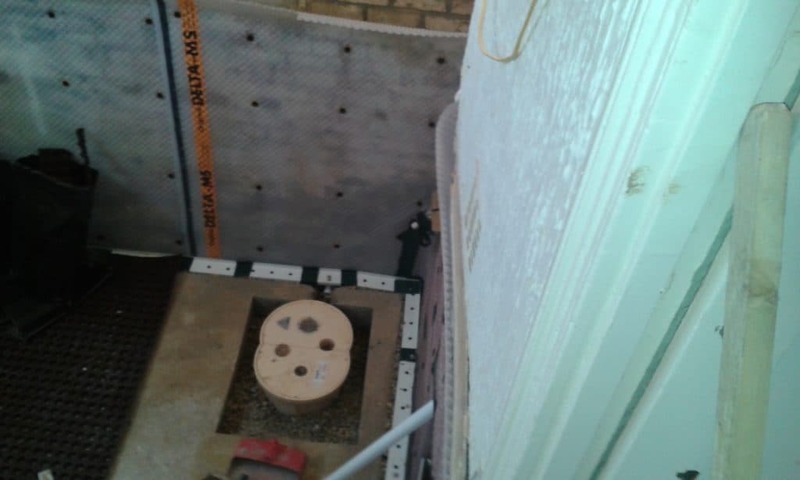 When a cavity drainage system was used in this type of application, a silicification pre-treatment of the concrete was used to reduce the risk of free lime build up, and blockage of the drainage cavity and perimeter channel. 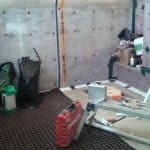 Trust our basement waterproofing experts in Kent to be able to provide you with the right basement waterproofing solution for your wet basement problem. Don’t hesitate to contact Timberwise by calling on 0800 288 8660 or you can request a survey on-line.